I do not intend to maintain this addon as stated in the description. However I have updated it to work with 7.0.3 and Artifact bars. There is a glitch still where the default action bars will move up and or down when the XP/Rep/Artifact bars are shown. However this does not appear to effect anything other than the movement when mousing over as the bars go back to their default position after mouseover. See the new screenshot to the right for the result. It is functional and as non annoying as I can make it with the amount of time I am willing to put into it. and change them to what you wish. Moves the XP and Reputation bars to the top of the screen. 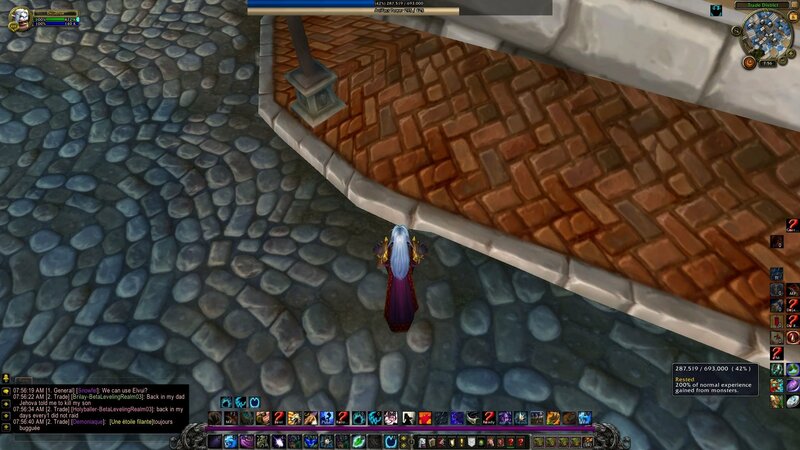 Show the XP and reputation bars by moving your mouse cursor to the top of the screen. Scale DejaXPBar with the default UI scale in the Game Menu>System>Advanced menu screen.